REO has just supplied a second custom-engineered variable AC power supply to the Middle East Technical Services (METS) in Saudi Arabia. METS is an electrical engineering company involved with infrastructural projects involving Power Distribution, Telecommunications, Monitoring & Surveillance systems, SCADA, DC & UPS systems and Information Technology (IT) applications. 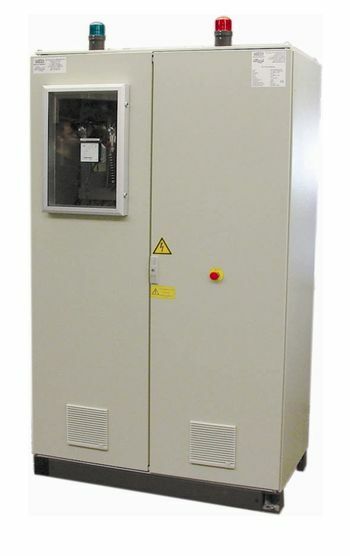 The power supply is an infinitely variable Three Phase, 0 – 600VAC power supply designed for Positive, Zero Sequence Impedance test and cross bonding verification for testing and commissioning of Distribution Transformers and associated cabling at site. The power supply has a nominal power capacity of 33 kVA, but REO’s robust electrical and mechanical construction means that the customer can use the unit with an overload capacity of over 100 kVA. This allows the unit to be made physically smaller than other designs and has also helped to reduce costs. The unit also utilises low impedance windings to reduce regulation losses and a motor drive with push-button control for ease of use. A METS representative was quoted as saying that it was the ‘proven robust quality’ of the REO product that has resulted in the company being a preferred supplier and the purchase of the second unit.